Nebraska Drug and Alcohol Treatment Facilities. Are you looking for Nebraska Drug and Alcohol Treatment Centers? Our listings listed below can help. Methamphetamine is the drug of choice for users in Nebraska. Crystal meth use has become problematic especially in and around Omaha. The trade is dominated by Hispanic drug trafficking organizations. They are the primary wholesale source of drugs in the state. They also traffic it once it reaches Nebraska. There are also small meth laboratories indigenous to Nebraska. However, they are not able or do not manufacture large amounts of drug. Most of what is cooked up is for personal use or for friends. Cocaine and heroin are both available, though the supply of each of these drugs is pretty limited. What can be found is available mostly in or around the Omaha area. Methamphetamine is by far, the drug of choice in Nebraska. It is the most problematic and poses the biggest threat to the state. It is far more available then other drugs and the biggest concern for law enforcement agencies. Marijuana use is widespread and readily available not only in Omaha but also in other more populous areas. Like many of the drugs found in Nebraska, most of the marijuana sold in the state has Mexican origins. It is often shipped in from California, Arizona or Texas. Canadian marijuana is also available. The predominant club drug in Nebraska is ecstasy. Its use and distribution is becoming more of a concern. Law enforcement agencies are beginning to pay more attention and placing more of an emphasis in stifling the trade. Diverted pharmaceuticals have become problematic in Nebraska just as they have in other states throughout the country. Hydrocodone based products, Oxycontin and cough syrups which contain codeine are being increasingly abused. Persons are going doctor stopping and forging prescriptions (amongst other illegal activities) to obtain them. 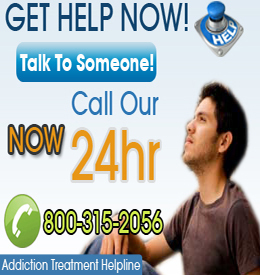 Choose a City to Find Addiction Help in Nebraska.